This past week was unusually beautiful: I drove with the top down, drank iced coffee instead of hot coffee, enjoyed a good Mexican dinner with my brothers and cousin, and felt a hankering for country music (this hits me in the summer – very strange phenomenon). Sunday ended with an hour-long talk on the phone and a reminder that we are all changing, just some are faster than others. Teaching. I spent Sunday afternoon compiling material for a chicken class. It all happened last fall when I was teaching an adult ESL class – somehow it got out that I have chickens and the director of the program asked if I would be interested in teaching an “Introduction to Raising Chickens” class in the spring. 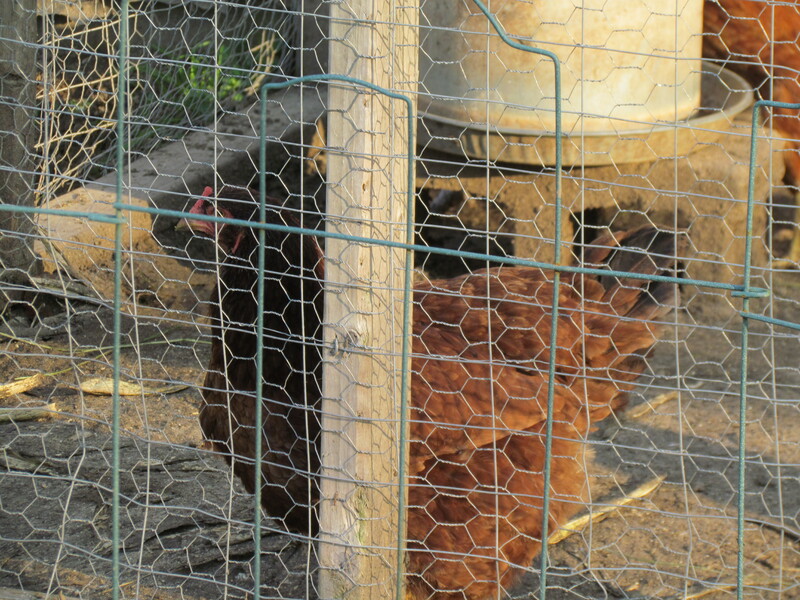 Well, spring is here and the class is this Saturday and I find myself making lists of the hardiest breeds, best layers, local farm stores, and all the weird things you learn when you raise chickens [Wait, you’re telling me you have to check hens for mites?! Yes, that’s what I’m telling you.]. I can’t wait to show the girls off. I hope my Barred Rock gets her act together and grows some feathers back in time! Iced Coffee. I think I’ll always drink hot coffee in the morning, but iced coffee really hits the spot in the afternoon. I’m wondering if these afternoon beverages aren’t what’s affecting my sleep patterns…? Movies. 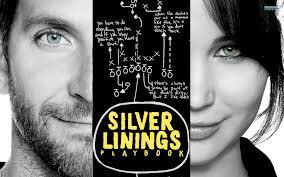 I finally saw Silver Linings Playbook after months of hearing about it, and I loved it. Which is weird, because usually when people praise things to me, whatever those things are, they’re never as wonderful as I’d imagined. But I loved the way this was filmed, the way the dialogue was lapped over itself, and the character development, especially. Good stuff. Should be nominated for an award or something. Books. So this isn’t a particular book, but this past Saturday I went to my library’s annual book sale. Oh my gosh, I forgot how great these are! Only $1 for a paperback, $2 for a hardcover?! I’ll take twenty. We walked down and got old fashioned doughnuts and coffee at the little cafe [there’s actually a funny story that goes along with this, but that’s another post] and then headed over to canvass the tables for interesting finds. I found an old copy of Dostoyevsky’s Idiot [I’ve been meaning to read it for awhile – gotta add to my Russian literature, you know? ], Bridget Jones’s Diary, a Margaret Atwood book, and Barbara Kingsolver’s The Prodigal Summer [a guy at my small group keeps recommending her, so I figure I should give it a shot]. My friend and I bought a good stack with plans to switch in a few weeks. I was thinking of having a book-swap, because I have all these books that I’ve loved and want others to love, too. Maybe this summer! What good things are filling your Monday? 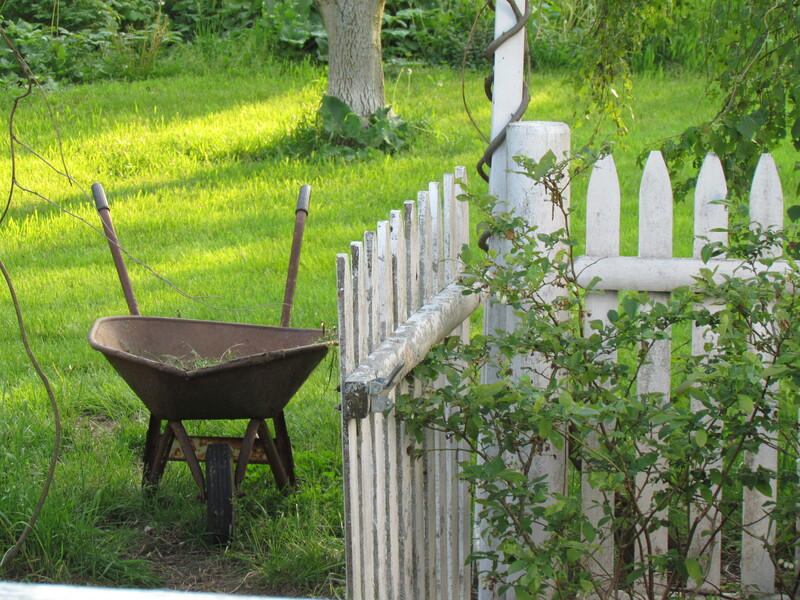 This entry was posted in film and tv, music, simple life, the good things and tagged beauty, chickens, ivan and alyosha, joe purdy, movies, music, silver linings playbook, teaching on May 6, 2013 by catherine_hawkins.